I am glad I got my macro lens before spring arrived. 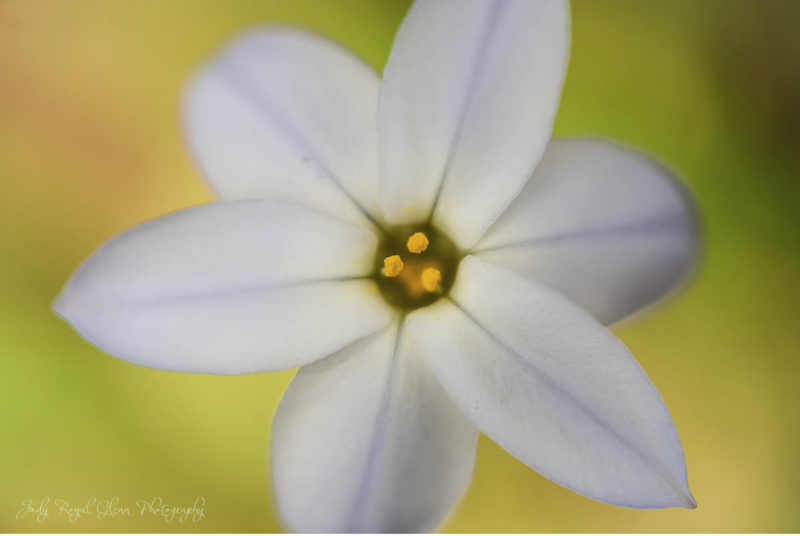 I love the beauty of these little flowers. 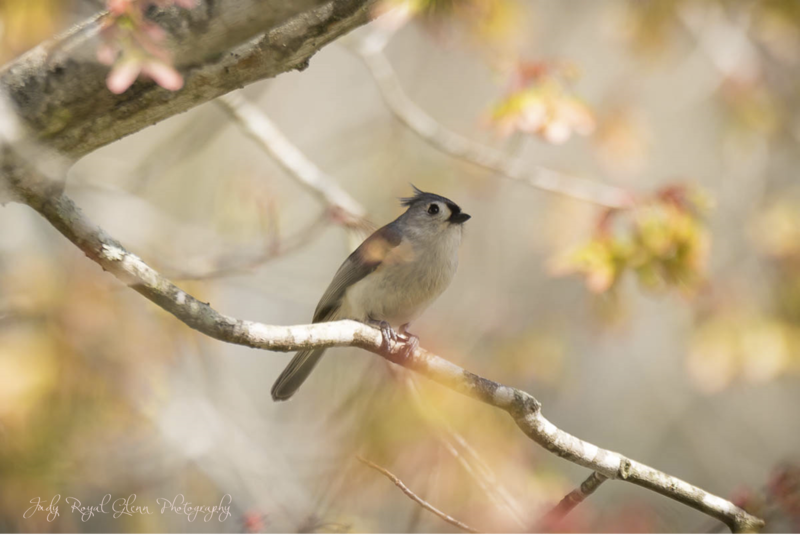 This Tufted Titmouse is enjoying a sunflower seed from a feeder at the State Botanical Garden of Georgia. It is neat to watch a Titmouse or a Chic-a-dee crack open a sunflower seed with their beak while holding the seed with their claws. 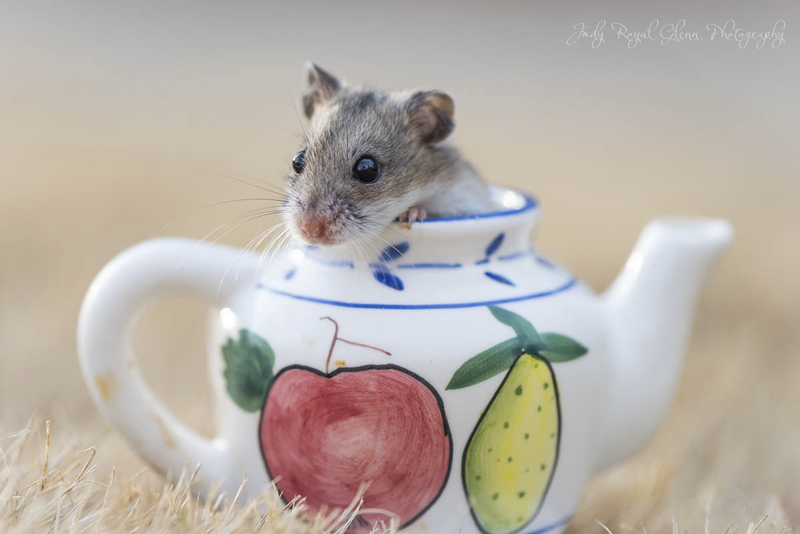 My daughter came home from college and brought home her new Chinese Dwarf hampster named Sulu. I told her I wanted to do a photo shoot of Sulu. I remembered my daughter had a little teacup set when she was young, and I knew it would be the perfect size to put Sulu in. Sulu did not cooperate to much. 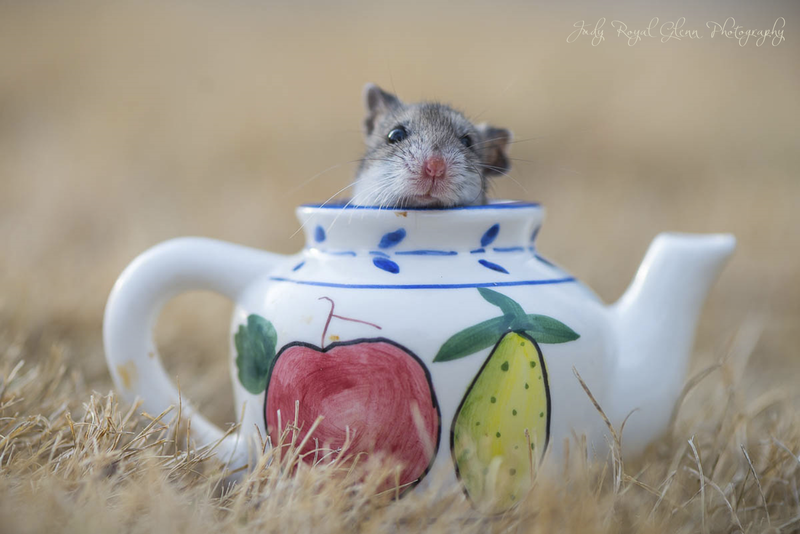 She either wanted to stay in the teacup or she did not want to get in it. We ended up getting several good shots. I was waiting by the Forsythia to see if I could find any hummingbirds. While I was waiting, I saw some beautiful tulips next to the Forsythia. I was torn between keeping on my long lens to hopefully capture a hummingbird shot or putting on my macro to photograph the tulips. I never saw a hummingbird, but I believe I heard one twice. So while I was waiting, I photographed the tulips with the Forsythia in the background. I sort of looked like a three ring circus as I was trying to get the perfect shot. I did not have a reflector to diffuse the light, so I hung my jacket on my tripod to block the harsh sunlight. 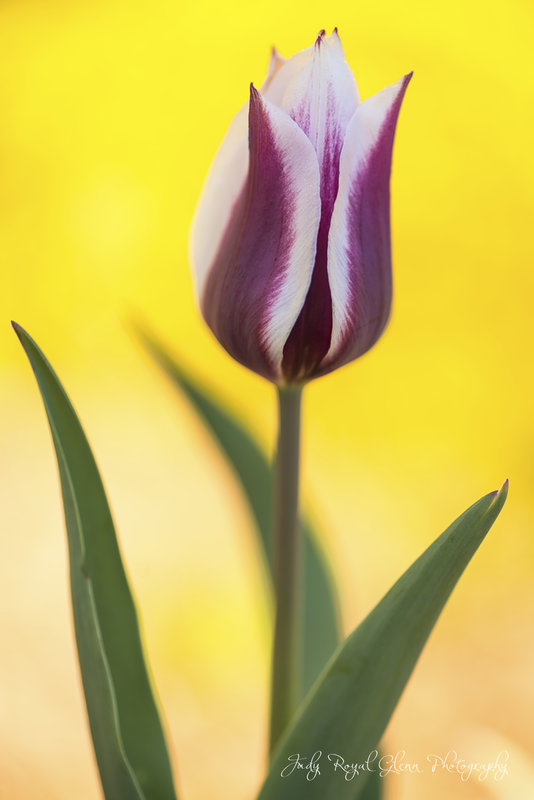 I then laid on the ground under the tripod to photograph the tulip while it was in the shade of my jacket. I then used a flash to bring back in more light. I think the beautiful, yellow Forsythia made for the perfect background! 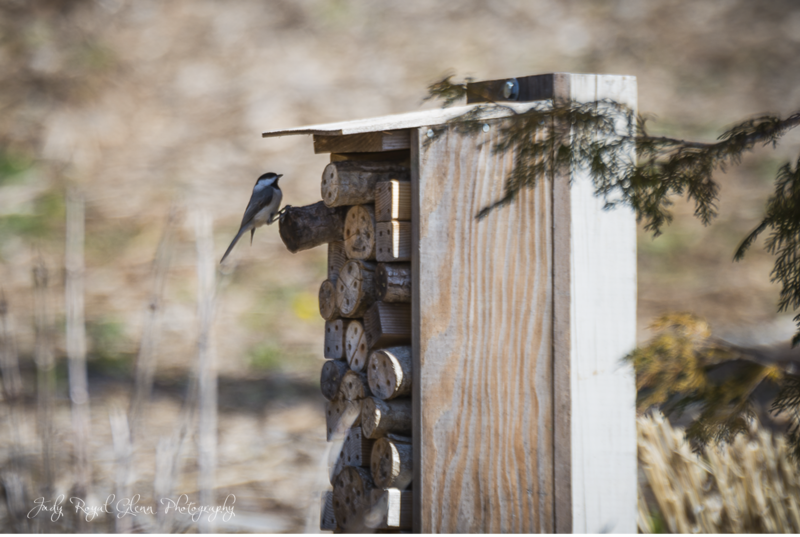 I originally saw this Chic-a-dee on a bee box. I did not know what it was so I asked a curator at the State Botanical Garden of Georgia, but I did not ask any other questions. The Chic-a-dee went into the top right part of the box, so at first I thought I found it's nest. There was also another Chic-a-dee there too, but they did not return. So the only thing I could think of is that they were honey snatchers or bee eaters. I left my house well before sunrise, so I could drive about an hour away to photograph at Little Mulberry Park. It is mating season for the Great Blue Heron, and they nest in the tall pine trees there. 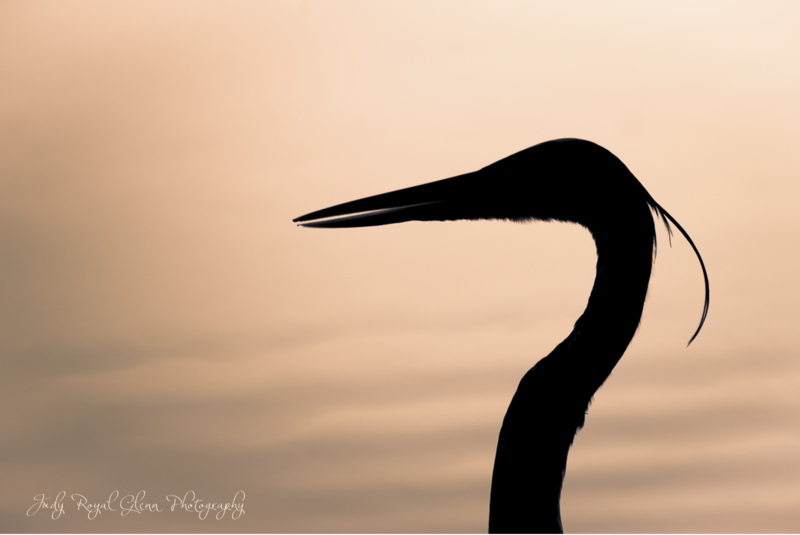 I really did not get any great shots at sunrise but followed this heron around the lake. He flew across the lake to the dock I usually shoot from. I saw where he landed and quickly walked there. When I got to the dock, I could not find him. I quietly walked to both sides of the dock with no luck. I walked off the dock and took a few steps near the water then voilà he stepped out from around the dock. It kinda freaked me out a little because he was so close to me standing out in the open. I did not know what to do, and he did not know what to do either. My tripod was on my camera, so I slowly brought the camera to my face and took a few photos. I then quickly zoomed out to get his whole body in the frame. He turned his head away from me, so I slowly put my tripod on the ground. He turned back towards me then flew away. 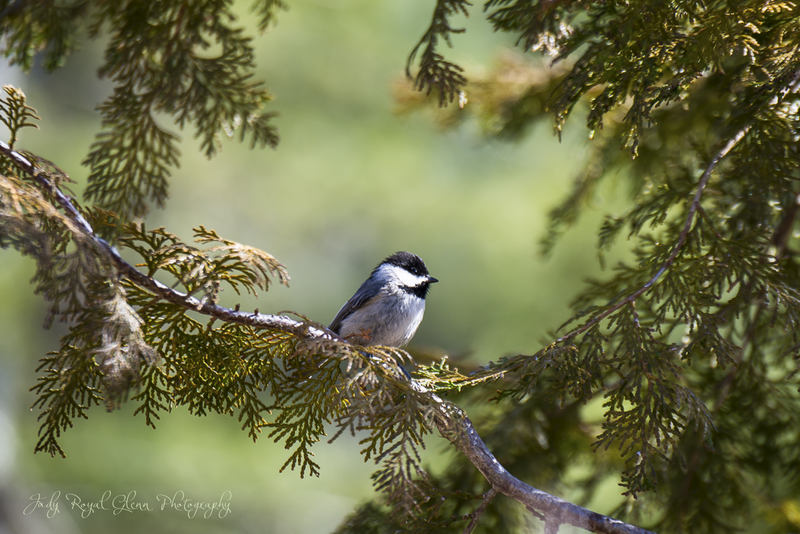 I was happy to get a few shots! 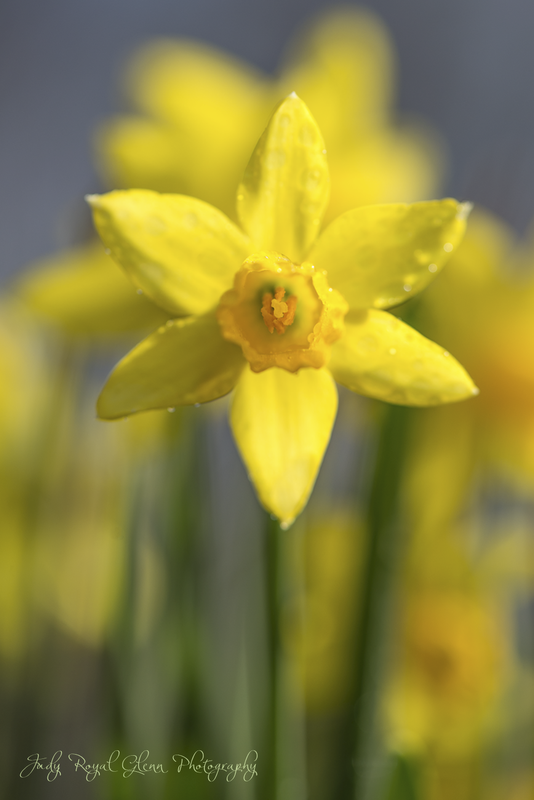 The daffodils are one of the first flowers to show that spring is around the corner!! I went to the State Botanical Garden of Georgia this past weekend and was excited to use my new macro lens again because I haven't shot with it very much. 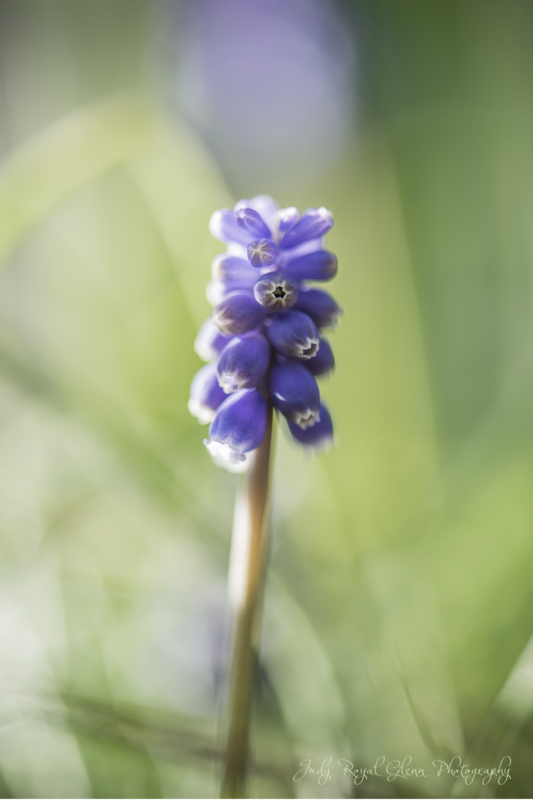 I wanted to capture the "arrival" of spring and ran into this little plant called Muscari or Grape Hyacinth. I am having difficulty deciding what aperture to shoot with as I want the background blurred out, but I am trying to figure out how much of the flower I want in focus. This is a learning experience for me. Eventually I will figure it out! 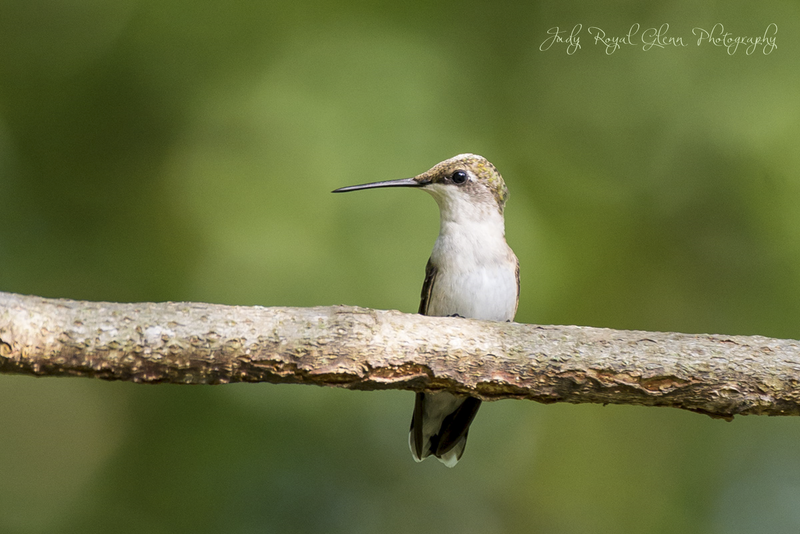 Well, I am not referring to the hummingbird waiting patiently, I am referring to me! I just checked the hummingbird migration map yesterday to see where they were in their migration back to the states, and one was reported in the southern part of Georgia yesterday!! I can't wait till they get here! I have definitively gone through withdrawals! I also can't wait to do more research at the State Botanical Garden of Georgia, to find more places where they love to perch throughout the garden. 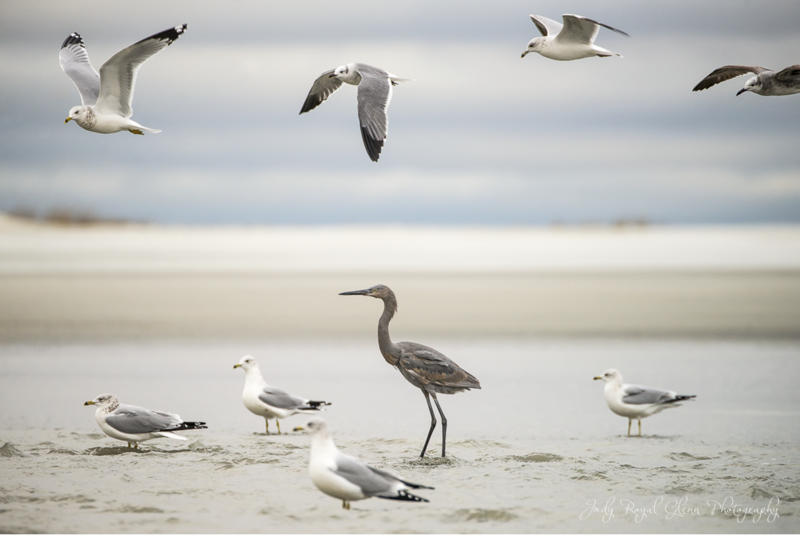 I wish photographing birds would be this easy all the time. 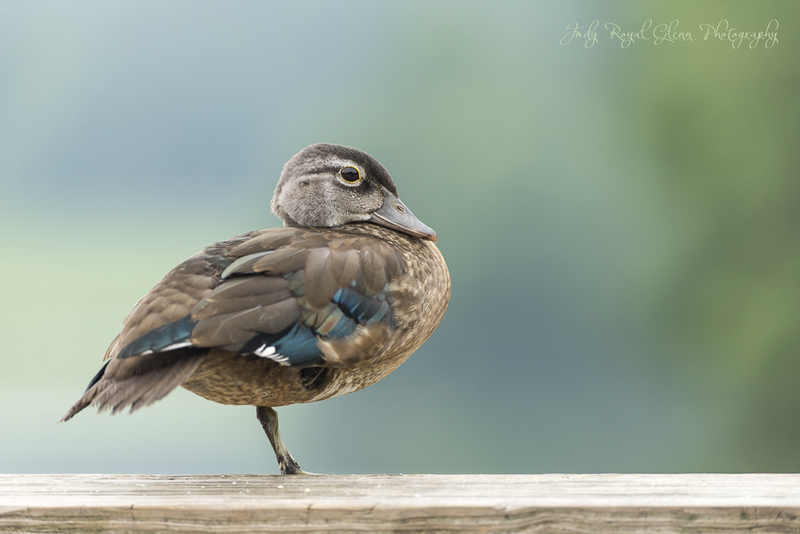 This female Wood Duck took a few moments to relax and pose for me. 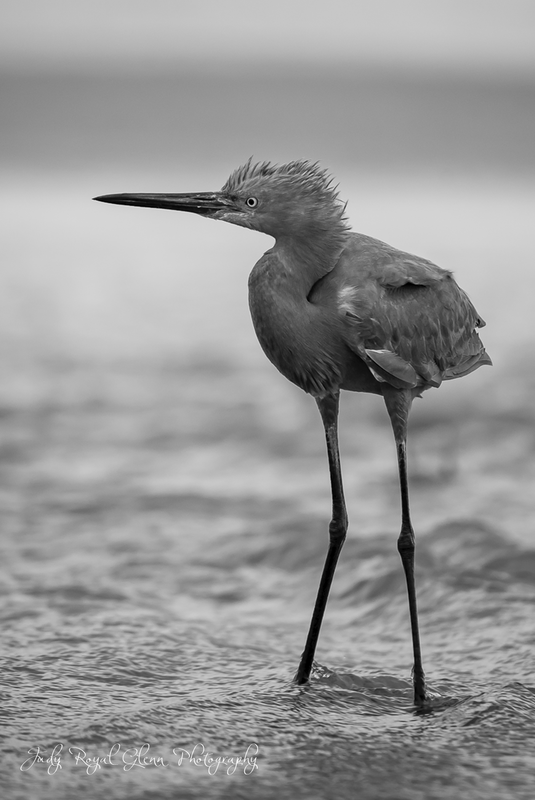 This Reddish Egret was surrounded by seagulls for most of the time I was shooting. Usually, they were buzzing around each other looking for their breakfast. 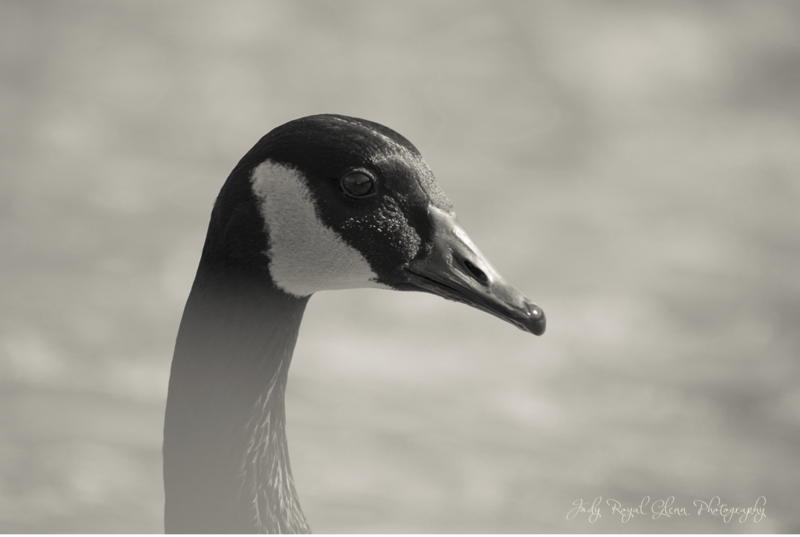 While I was photographing at Mulberry Park in Dacula, Georgia, I found a pair of Canadian geese swimming near the dock I was standing on. I laid on my belly to shoot through the gap of the wooden railing and the floor of the dock. The vignetting on his neck is from the wooden dock, but I like the shot nonetheless.